Posted by Dave Emory ⋅ January 25, 2019Post a comment Email This Post Print This Post Tweet This! Introduction: This is the twentieth in a planned long series of interviews with Jim DiEugenio about his triumphal analysis of President Kennedy’s assassination and New Orleans District Attorney Jim Garrison’s heroic investigation of the killing. He did not want the Commission to employ any of their own investigators. He did not want the Commission to gather evidence. Instead he wished for them to rely on reports made by other agencies like the FBI and Secret Service. He did not want their hearings to be public. He did not want to employ the power of subpoena. Incredibly, he did not even want to call any witnesses. He wanted to rely on interviews done by other agencies. He then made a very curious comment, “Meetings where witnesses would be brought in would retard rather than help our investigation. Warren Commission counsels David Slawson and William Coleman relied on CIA and FBI liaison for their information. Specifically, they relied on counterintelligence chief James Jesus Angleton and and his aide Ray Rocca for their information. NB: Mr. Emory erred at one point in this interview, identifying Richard Helms a head of the CIA, he was Deputy Director of the Agency at this point in time. Slawson even considered joining the CIA at this point. We can but wonder if, in fact, he did just that. Richard Helms appointed Angleton to be the main liaison for the Agency to the Warren Commission. Recall that Angleton and Ray Rocca were in charge of the Oswald pre-assassination files. Angleton and the FBI’s William Sullivan coordinated their response concerning Oswald having ties to U.S. intelligence agencies, denying that that was, in fact, the case. A handful of CIA officers known as the SAS (not to be confused with the British commando organization with the same initials) developed an interest in Oswald weeks before the assassination. 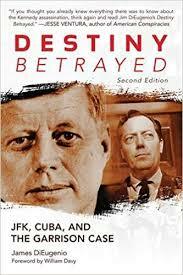 Slawson and Coleman relied on CIA station chief Winston Scott when in Mexico City.